[Media Take Out] MTO News just learned of a very disturbing development – reportedly about a top female rapper. According to a radio station employee, they saw the rapper take 10 oxy pills in front of them. The radio station employee believes that the female rapper is an opiod addict, and is a danger to herself. The female rapper, who MTO News has chosen NOT to name for legal reasons, has recently become UNHINGED – and some say that she seems to be spiraling out of control. But OXY pills are dangerous. 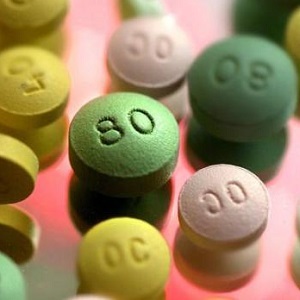 The active drug inside the pills is an opioid – similar to her*in. The pills can be extremely addictive. And if too many are taken, it can lead to an overd*se. [Optional] What do you think is going to happen to her? Don’t know who this is, but opioids make your pupils very tiny, pinpoints. She’s been honest about drug use in her song Pills and Potions. I hope she’ll be ok. The insider got it slightly wrong. If the pupils were huge it means they’re not high on their opiates, but actually in withdrawal. When you’re high your pupils are pinned. You can also act real crazy in withdrawal. It’s interesting to me that the rapper waited till after the interview to get comfortable again? I would of done it the other way around. Source: parter and I were both really bad opiate fiends for few years, we have now been clean for several. Ain’t going back to it ever! Death- if she continues on the path she is on. I don’t know who this is, but putting the word ‘unhinged’ in the blind makes me wonder if it’s an acquaintance of Omarosa. Just for the record, I have worked as a Social Worker with addicts. Opiates constrict the pupils. Speed, Meth dilates the pupils. Azealia Banks. She made up stories about Elon Musk. Nicki Minaj because she raps about doing that…what a role model. Azaelia Banks? That story she told about Elon Musk sounded possible enough but maybe it was all down to dr*gs? Optional: OD at this rate. Please, lady, whoever you are, wise up and go to rehab! Cardi or Nicki? Probably Nicki since Cardi B just had a baby. I feel they keep talking about Nikki; she has been clapping back at folks lately all over the place, supposedly her album isn’t doing well (it’s great, though), and she’s looking unhinged because of Cardi`. I hope she wasn’t dumb enough to really do that infront of somebody-that’s just stupid!!! I was going to say Iggy Azalea, but this person stated that they were a fan so it’s more likely someone with at least a little talent. Nicki Minaj? Overdosed sadly. She’s a new mom – this is so sick and sad if this is her. Album is most definitely NOT a flop, and if you’ve followed her career AT ALL, you would know she has alluded to using pills in the past, and on QUEEN, she reiterates how half a pill doesn’t cut it anymore. This isn’t a secret. She’s been open about her addiction issues in the past and present. This is Nicki Minaj, fighting people on the internet her ex Safaare. I knew that there was something wrong with her. She needs to get help. Drugs are not a joke. All this has already started to hurt her career. You’re right, drugs are no joke, all it takes is for them to get a hold of a couple bad ones and their life could be over in an instant. Don’t know what will happen to her. These pills seems to be the in thing at the moment along with the spice drug which turns people into “zombies”. God help them all. Nicki Minaj; I think she’s going to OD. some day she will overdose. yes i think you are right…. all that twerking with all that extra that apeared on her backside must be causing the pain?? Are there any other top female rappers besides Nikki and Cardi? Since there is no need to be popping pills right after you have a baby I’ll go with Nikki.